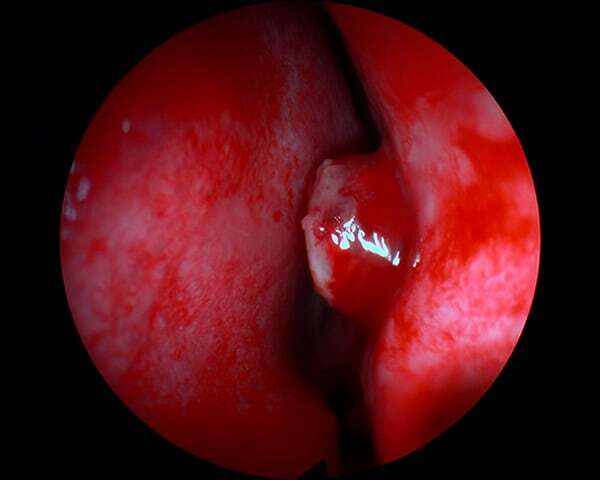 While nasal bleeding can be very common, unilateral bleeding with or without obstruction is a common sign of a nasal tumour. Thankfully, nasal tumours are uncommon to rare. 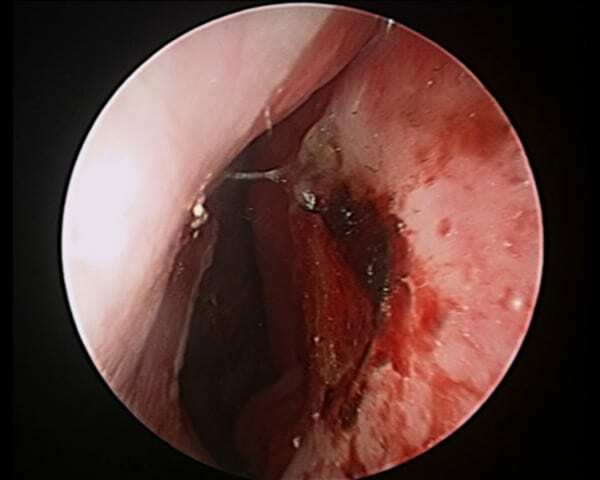 Common conditions that are associated with nasal bleeding include small broken blood vessels (single telangiectasia), small collection of blood vessels (hemangioma and the equivalent of cherry red spots on the skin), septal ulceration, hereditary hemorrhagic telangiectasia (condition of genetic predisposition to multiple telangiectasia) and nasal tumors.